The classic winning Goffs UK Premier Yearling Sale at Doncaster came to a successful completion today with the two-days producing a new record top price of £380,000, a superb clearance rate of 89% and a buying bench featuring purchasers from around the world. Yesterday’s sale topper, Newsells Park Stud’s Gleneagles colt (Lot 20) who sold to SackvilleDonald for £380,000, remained unbeaten but the day got off to the best possible start with the first lot through the ring topping the final session – a filly by Acclamation (Lot 267) which sold for £240,000. Offered by Highclere Stud on behalf of Lordship Stud, the filly is from the famous Swiss Lake family and was purchased by Creighton Schwartz Bloodstock and John Dance who purchased the Classic winner Laurens from this sale for £220,000 in 2016. In total, 37 yearlings sold for six-figure sums over the two days with other highlights today including Croom House Stud’s Showcasing colt (Lot 388) out of the Listed winning mare City Image selling to Shadwell Estate for £190,000, Highclere Stud’s Dark Angel colt (Lot 318) who was purchased by Peter & Ross Doyle Bloodstock for £170,000 and two yearlings that sold for £150,000; Yeomanstown Stud’s Dark Angel filly (Lot 301) who sold to Cheveley Park Stud and Tally Ho Stud’s Cable Bay colt (Lot 393) who sold to Shadwell Estate. “We came into this sale determined to break the £300,000 mark and to do so is a huge achievement as we smashed the previous record by £100,000, setting a new high of £380,000. 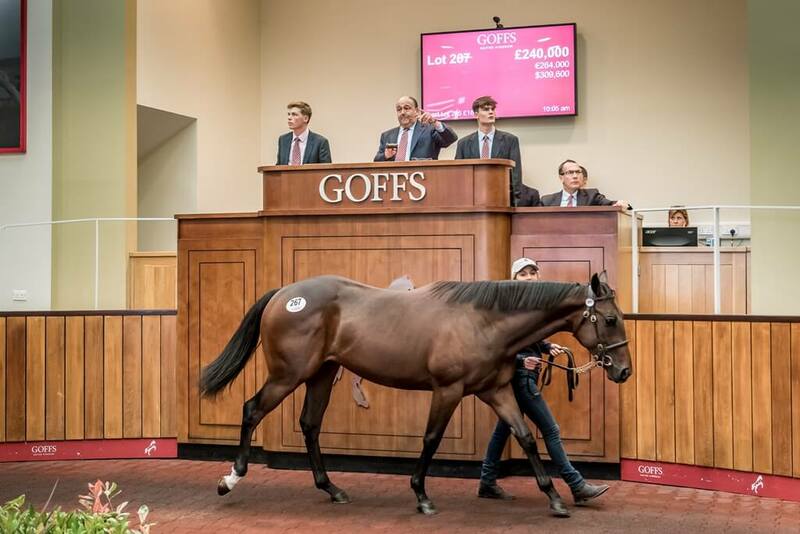 That’s a real statement for this sale and the type of yearling it now attracts and, along with the Classic winner Laurens, encapsulates the evolution this sale has undergone. “This sale has experienced six consecutive years of growth and to match last year’s record-breaking figures was always going to be tough. However, we have achieved the second highest figures in this sale’s history for which we are delighted and to finish with a clearance rate of 89% demonstrates the strength of the market here at Doncaster.